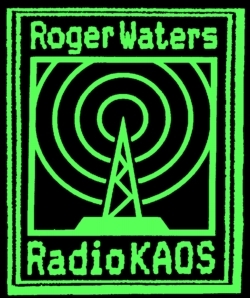 Roger’s KAOS on the road tour lasted only three months and was predominately a North American tour. Many of Rogers’ gigs were canceled due to poor ticket sales perhaps largely in part by the fact that Pink Floyd was also touring North America at around the same time. Only two soundboard recordings of live KAOS exist. Both were later broadcast and have FM quality reception so it adds to the “radio” feel. This podcast is a mix of those two, one being mostly from Quebec and the other, recorded two weeks later from Wembley. The remaining gaps were filled using audio taken from an amateur video recording in Quebec. Unfortunately not every song performed was broadcast and there are no complete soundboard gigs from this tour. Even the audience recordings seem to be scarce.